The beauty of Italian craftsmanship is showcased in this bangle bracelet from Roberto Coin's Soie collection. Crafted in 18K yellow gold, it's a wearable piece of art. 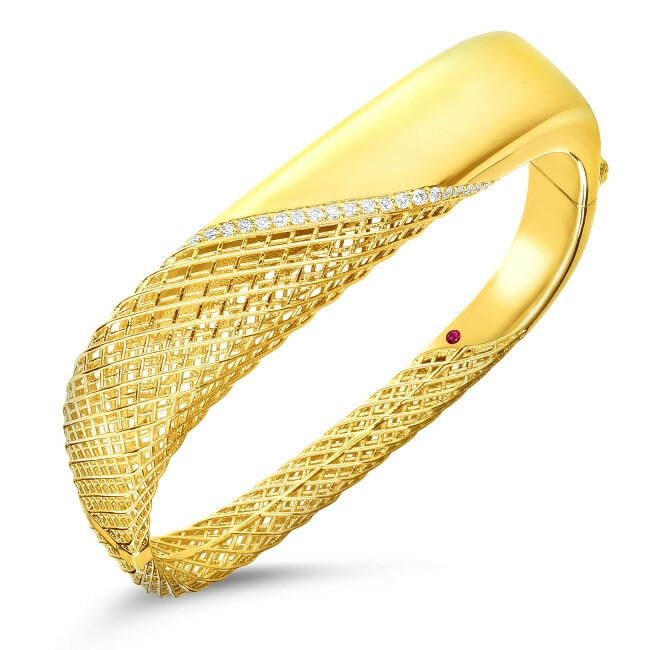 The contemporary-styled piece of jewelry is bold and beautiful, with an intricate and innovative woven design that couples with smooth precious metal. These elements are parted by a diagonal line diamonds. Wrap your wrist in this eye-catching bracelet from Roberto Coin.